I did tons of research for writing DEATH IN THE TIME OF ICE. I used it in the book, of course, but I’d like to share some of it with you. 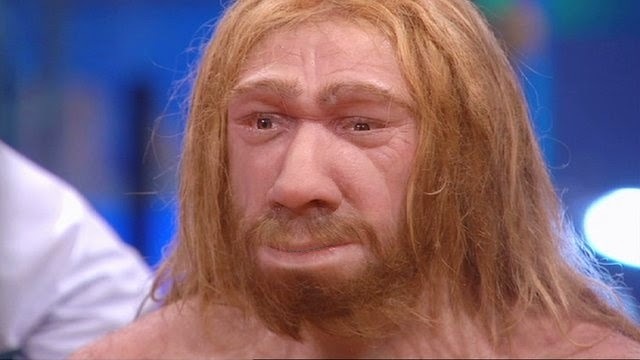 Everyone is interested in Neanderthals, right? On current evidence, the Neanderthals lived between about 230,000 and 30,000 years ago--a huge span of time by any reckoning. In ancient times women ruled, because they had the magic masks, or the magic flutes, but men spied on them and stole their magic away. The high incidence of degenerative joint disease in Neanderthals is perhaps not surprising given what we know of the hard lives they led and the wear and tear this would have produced on their bodies. But the prevalence of serious injuries is more surprising, and indicates just how dangerous life was, even for those who did manage to reach ‘old age’ in Neanderthal societies. A remarkable feature that occurred in the older part of the shelter1 fill was a man-made rock pavement that rested on the surface of Zone 32 clay and was overlain by travertine, clay, and limestone grit (Zone 4). … Several small patches of cobblestone pavement apparently were found at a level below the main rock floor pavement, and [Glen] Evans thought these might be evidence of human activity in Zone 3. New evidence has emerged that Neanderthals co-existed with anatomically modern humans for at least 1,000 years in central France. …Neanderthals lived in the cave between roughly 40,000 and 38,000 years ago…. Homo sapiens …inhabited caves for about 1,000 to 1,500 years…. At that point, Homo sapiens moved out and the Neanderthals returned, staying for a period that went from about 36,5000 years ago to 35,000 years ago. Neanderthals seemed to suffer a high frequency of fractures…. These fractures are often healed and show little or no sign of infection, suggesting that injured individuals were cared for during times of incapacitation. T.D. Berger and E. Trinkaus (1995). "Patterns of trauma among Neadertals". Journal of Archaeological Science 22: 841 - 852. Retrieved on 2007-06-28. It's here, it's here. Officially, I am a cozy mystery writer. 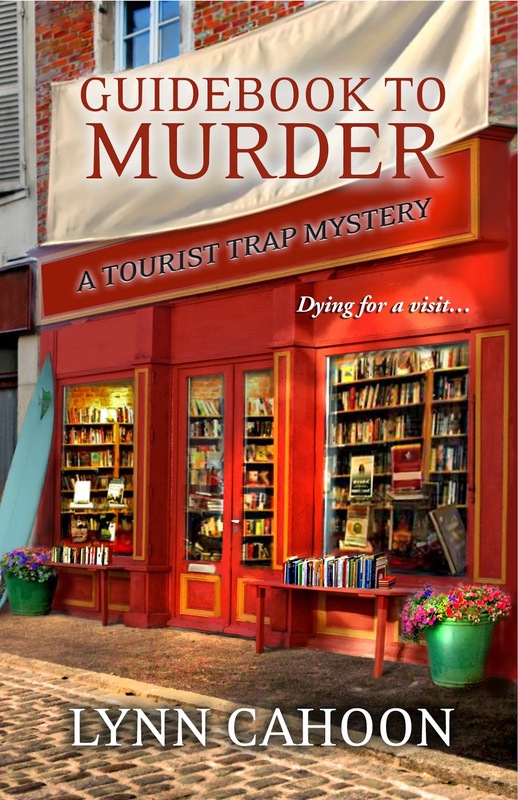 I always say I love the books I write, love the quirky characters, but The Tourist Trap Mysteries, starting with Guidebook to Murder holds a special place in my heart. 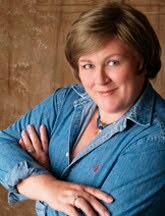 I'm a lot like the spunky Jill Gardner who is the amateur sleuth for South Cove. And where I'm not, she has characteristics I wish I had. Like taking a risk and re inventing herself when she realizes the job she has isn't who she is, not on the inside. So have some virtual champagne and canape's, hell, let's have virtual cake. And help me celebrate. Thanks for being part of my world. Available at Amazon, Nook, and everywhere fine digital stories are sold. 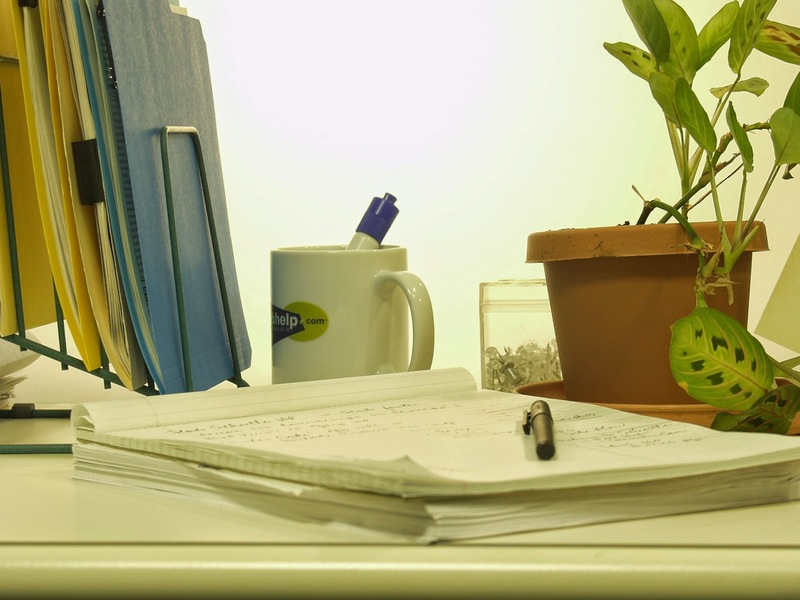 On my desk there is a dangerous sink of quicksand that can pull me down in a minute. I’ll bet there’s one of your desk, too. Yes, the Internet is a great invention. It has made research a snap, giving writers access to information which would have been difficult if not impossible to obtain otherwise. It has created a community of writers from the heartland to the Antipodes, allowing a heretofore unparalleled exchange of information. (Much, I think, to the chagrin of the traditional publishers!) It has allowed writers to publish their own books and claim the well-deserved lion’s share of the income for their hard work. (Causing, I think, an ever-increasing malaise among the traditional publishers!) It makes it easier for readers to find, follow and befriend their favorite authors as well as discover authors they might not have found any other way. But there is no rose without a thorn. While it has been intensely liberating for both writers and readers, the Internet is sort of like one of those carnivorous tropical plants – alluring but deadly. Say it’s a bright new day, and I decide that this is the day I’ll finish that pesky midsection of my work in progress. There’s not that much to do, so it shouldn’t take too long… First I’ll just check my inbox. Three hundred and some-odd emails later, I’ve read a great deal, written a goodly number of replies, and a large chunk of the morning is gone without my having accomplished anything substantive. Well, it’s not that late, so I’ll just take a minute to check out a few of my favorite blogs – after all, they’re writing blogs, so it’s not really taking time from work, it’s professional research. How did it get to be lunchtime so quickly? Well, I’ll just have a quick sandwich here in front of the computer, and so I don’t waste time, I’ll research that little fact that’s been snagging my storyline to see what I can do about it. I am startled to realize that lunchtime is long over, the plate of crumbs and curling crusts is balanced perilously on my printer and I’m reading something which has nothing to do with my work in progress, but where I’ve been lead by a tantalizing trail of links and curiosity. Worse yet, suddenly it’s late afternoon and I haven’t done a lick of work. See what I mean? Quicksand. Now it’s not usually anywhere this bad – though this exact scenario has happened – but it is so easy to be seduced from work into Internet play. When faced with the siren allure of the Internet writers need concentration and discipline, two virtues which I most notably lack. Unfortunately, unless we want to go back to the clumsy, time-consuming old days of handwritten letters and trips to the library, the Internet is now an integral part of our lives. We must make sure it doesn’t take over our lives. Though I've written mostly about my blog tour, thought it would be a good idea to mention some of the things I'm doing or have done in person. 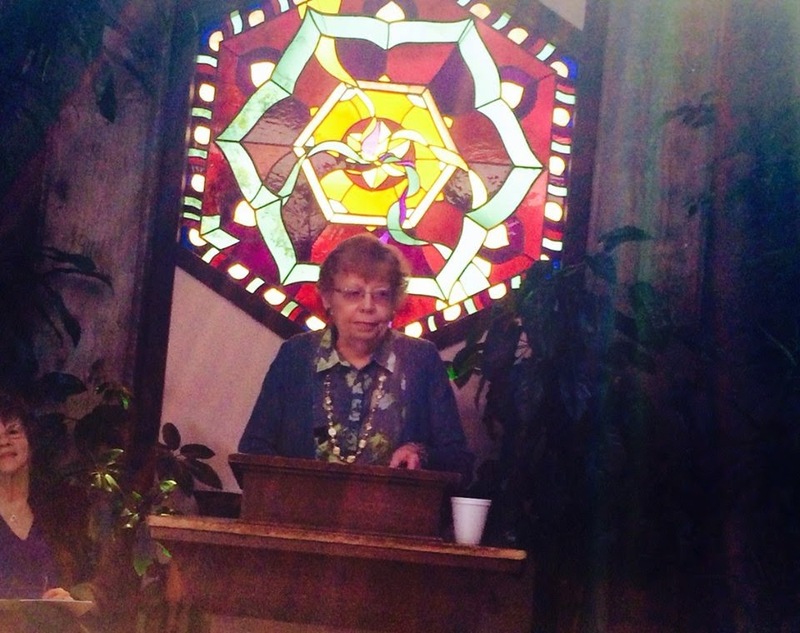 On the first Sunday of the month I was with the Central Coast chapter of Sisters in Crime at a beautiful little bookstore and wedding chapel in Morro Bay. We each talked or did a reading for 5 minutes, then schmoozed with the crowd. A fun time heightened by the fact hubby and I spent time with good friends from the area. My turn at the podium. Yesterday, I appeared at our local library for National Library Week. My topic was how I manage to write two mystery series--which means two books a year. 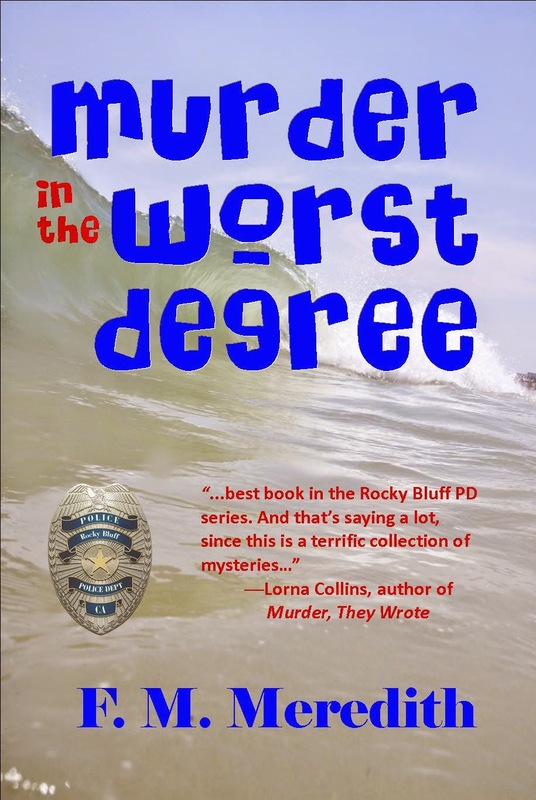 My official book launch for Murder in the Worst Degree is scheduled for Saturday, May 17 at the Porterville Art Gallery from 1-3 on Main St., in Porterville. I'm going to talk about the Rocky Bluff P.D. and the latest book in particular. 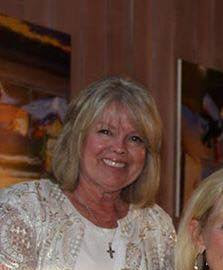 In June, on the 28th from 1-3, it's back over to the coast and the Lompoc Library and a panel on different aspects of publishing, again with members of Central Coast SinC. And that's plenty to think about right now. 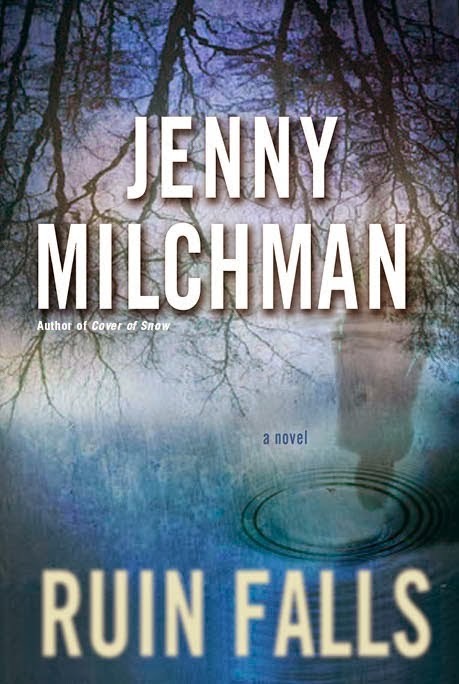 Jenny Milchman's journey to publication took thirteen years, happening in the end thanks to one very special member of the mystery community. Jenny’s debut novel, Cover of Snow, was chosen as an Indie Next and Target Pick and nominated for a Mary Higgins Clark award. Jenny is also the founder of Take Your Child to a Bookstore Day and chair of International Thriller Writers' Debut Authors Program. Her second novel, Ruin Falls, also an Indie Next Pick, comes out on April 22nd. I used to think that writing was something we learned. I thought this despite the fact that I loved to write even before I could write. My mom tells stories of how I dictated bedtime stories to her from the time I was two years old. One of my earliest and happiest school memories was binding stories using wallpaper (I chose a blue flocked pattern). Friends used to ask me on play dates if I would tell just one more chapter. Still, I figured these were all responses to influences that came from outside. I was terrible at math, having what would now be called a disability, whereby I reversed numbers. Maybe writing was the best option left. She was making toothbrushes into characters. And she was doing it at the exact age that my mom tells me my writing bug kicked in. What makes a writer? Is it something inborn, a gene, instead of the environmental influences to which I’d attributed it? Perhaps a blend of the two, a predisposition that might emerge if you live around people who read you stories, and you go to school with encouraging teachers and receptive children? As mystery writers, our job is to create puzzles, then tease out answers. The puzzle I’ve been grappling with lately is how I became this animal called a writer. It’s a strange species, one that lives in another world a great deal of the time, is willing to type until its fingers bleed for very little guarantee of pay-off, and finally…kills people. On the page, of course. When I began thinking about this further, I realized I was really wondering about two questions, which would have to be pried apart. First, is there a gene for writing? And once someone has become a writer, then why of all things does she write mysteries or thrillers or suspense? So I dissected the body of a dead writer and found this really weird thing laced amongst the chromosomes. It looked something like a pencil shaving…OK, I have no idea if writing is genetic or not. Music and mathematical abilities appear to be, so that would be sufficient evidence for me to say, sure, writing is, too. Science, schmience, puzzle solved. But what about the other question? Once a writer is born or made, how does he become a mystery writer? I’ve gotten different responses to this question. 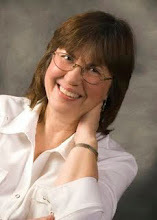 Many mystery writers say that mysteries were the books they read and loved as kids so they grew up wanting to pen one. But this sort of ducks the question—why were these the stories they loved in the first place? Other mystery writers note their logical minds and penchant for puzzles and games. They want to create such a thing on the page. And still others admit to a deep and abiding interest in the dark, the unsettling, the criminal. My own reason comes down to fear. Back in the days when I was entertaining my mother and friends with stories, I was also an extremely fearful child. I remember hearing that a dog next door liked to eat children under four feet (did I mention that I was also very short?) and I would walk three extra blocks to avoid going by his house. When the sliding doors shut, dividing the gym in half, I became convinced I’d be trapped and had to be led out of class in a hysterical fit of tears. A neighbor told me if you swung high enough on his swing set, you’d be catapulted through a portal, never to return to this world. I believed all of the above. Now when I write suspense novels, I take similarly outlandish premises, and I make them come out all right in the end. I am conquering my fears—or my characters are doing it for me. It’s soothing. It’s therapeutic. It’s triumphant. No wonder I choose to write these kinds of books. Voila--one question solved. But what made me turn to words for solace in the first place? What makes a writer? That’s still a mystery to me. 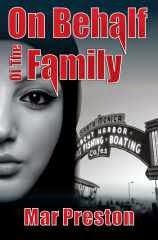 Liz Daniels has just set off on vacation, but when the family stops for the night, she wakes to find a terrifying reality. Her children are missing, and the hours tick by without anyone finding a trace. But in a sudden, gut-wrenching instant, Liz realizes that no stranger invaded their hotel room. Instead, someone she trusted completely has betrayed her. Now Liz will stop at nothing to get her children back. From her guarded in-laws’ unwelcoming farmhouse to the woods of her hometown, Liz follows the threads of a terrible secret to uncover a hidden world created from dreams and haunted by nightmares. 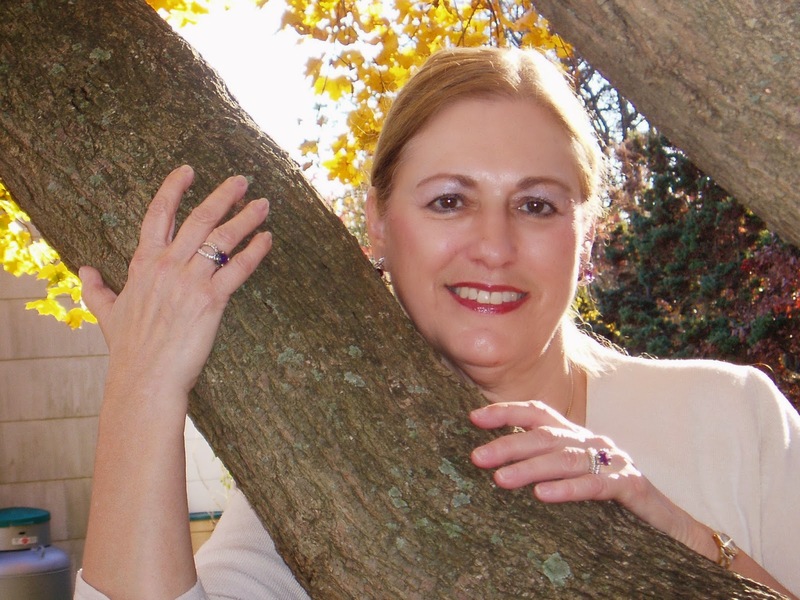 Please leave a comment to welcome Jenny to Make Mine Mystery. I liked the previous covers of my four books. But a smooth-talking Irishman, who presented as a social media expert at a conference I recently attended, persuaded me the covers looked amateur. I fell under his spell and found myself agreeing I needed to update them. What do I know about covers? I read advice from the same marketing whizzes that you do probably. I know that it’s not an original idea to change a cover on a book that’s not selling well and promoting it as a new title. I can’t claim that my earlier books are selling well. Don’t know about you. So the Irishman connected me to a New York City cover designer and I browsed through his website. My previous cover designer is a hard-working, competent web developer and designer who has put up with me for years now and I feel a loyalty to him. However, the covers that I saw by the NYC designer dazzled me. His terms were affordable and I decided to give it a try with new covers. 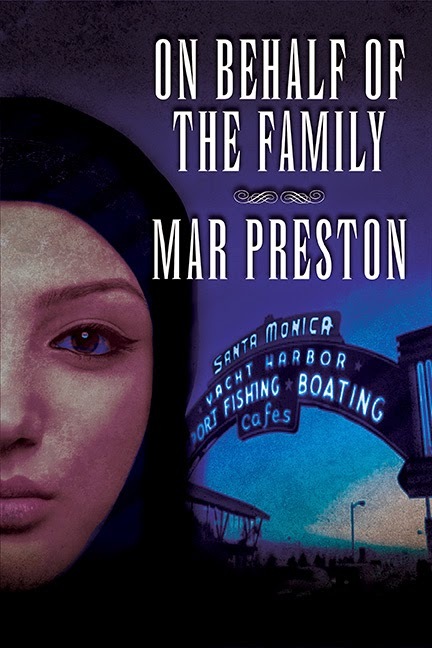 On Behalf of the Family is a police procedural about an honor killing that takes place in glitzy Santa Monica. It’s long on characterization, short on car chases and explosions. My series detective is with the Santa Monica Police Department. I am asking your opinion. Do you like the cover change? So far the Buy Button hasn’t been clicking in huge numbers but I wouldn’t be a writer, would I, if I weren’t hopelessly optimistic. I looked up yesterday and an hour and a half had flown past. I hadn’t written a word. In fact, I had copied a ton of words and pictures from here and there, anywhere I could find them. Research. Why does it take such a lot of time? I’m writing a short story (not even a novel) that I want to get right. I have permission to submit it to an anthology that I would LOVE to be in. It’s one of the Akashic Noir anthos. Most of them take place in particular city, with each story touching on a different part of the city. I was assigned a very well-known building, one that millions of people have toured. But I’ve never been there. Would that I could get there before the deadline! But I can’t. So I’ve gotten some info from a couple of people and am filling in with online videos and comments. I think what I want to happen will work. The first floor of the building is open to the public, but the second floor is off limits. I want my murder to happen upstairs, so I think I’m free to make up what it looks like, since no one ever sees it, right? I hope I’m right. As usual in research, a teensy portion of what I’ve researched will end up in the story. I do like to get the details correct, though. To say that the building is blue when it’s actually white (or something like that) will totally stop the reader who has been there. And will probably prompt irate emails. That’s IF I get into the anthology. 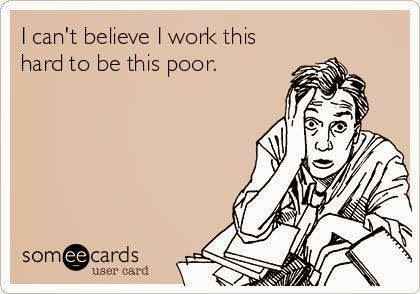 It’s like the picture that went around on Facebook the other day: I can’t believe I work this hard to be this poor. I find that I do almost as much research for an average short story as for an average novel, proportionally. Or maybe, proportionally, page for page, I do more for a short. Crazy. As I write this, I'm listening to the cars splashing through the rain running down the sides of our streets. Alby River, my husband calls it. I'm drawn to stories that depict weather. Maybe not as another character, like Twister or The Day After Tomorrow, but as a part of the feel of the story. Torrential rain isn't just for the tropics. The rain here in the Midwest sometimes comes down so hard, it's impossible to see the roads. Driving on days like that, I just stay in what I believe to be the middle of the road. And hope the storm passes soon. I always scoffed at the history stories about the mud the wagon trains had to deal with after a rain storm. I was wrong. Life's a little like those torrential rain storms. In your face destructive. Then, once it's calmed down, the apologies come. I didn't realize you were scared, or on deadline, or really trying to put your own spin on things. And yet, sometimes, a gentle rain is a blessing. Farmers bless the powers that be for giving the crops a much needed soaking. The rain clears out the pollen and pollutants, giving us sweet, clean air to breath. A little rain in your life can make you focus on the things that are really important, or see things clearer. "It was a dark and stormy night" sets the reader up for a certain type of story, just like the bright sunny day, gives the impression of a different type. But what if you switch the mood? 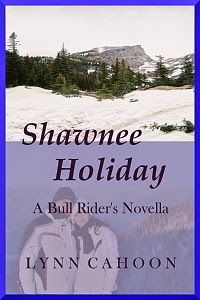 In Shawnee Holiday, A Bull Rider Novella, the storm that hits town early causes all kinds of havoc. But it's where we find ourselves after the storm that makes the difference to us, and our characters. Cash Dillon, former pro-football player and owner of The Pancake House, is hours away from paradise. A week on a Mexican beach–no responsibility, no worries, and no schedule. When his delivery driver is stuck on another run, Cash takes one last delivery up the mountain. June Palmer is home visiting her grandmother, but when her high school crush delivers their meal, it feels more like a Shawnee reunion. When Cash crashes his truck minutes after leaving her cabin, she has to figure out a way to get him down the mountain and to safety without revealing her hidden feelings. 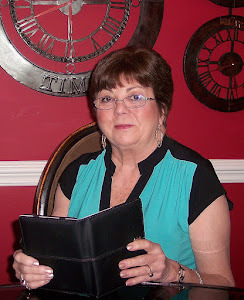 The other day my friend and fellow writer, Pat Gligor, was a guest on my blog http://www.marilynlevinson.com/blog/ to talk about her new mystery, Dangerous Deeds. She discussed When a Child Goes Missing, one of the themes of her novel. It got me thinking about themes. All novels require a powerful theme, and that includes mysteries. Love, betrayal, friendship, whatever. The theme of a mystery runs through it, impacting the lives of victims, suspects, and murderer. Theme adds a dimension. It provides ballast. It adds interest to your story. 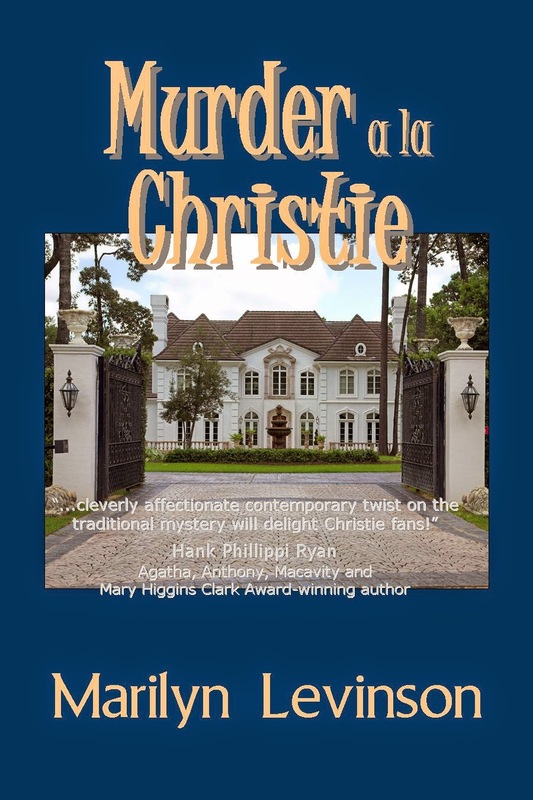 In my latest mystery, Murder a la Christie, Lexie has her hands full trying to discover who’s knocking off the members of her mystery book club as she leads discussions about novels by Agatha Christie. She’s also at a crossroads in her life. For one thing, she’s begun a budding romance with an intelligent, good-looking world-renown architect. Allistair West has made it very clear that he’s interested in a long-term relationship. Then why is she drawn to Detective Brian Donovan? Hasn’t she had enough of “interesting” men? The last “interesting” man she got involved with was her second husband. He proved to be unstable. And when she began divorce proceedings, he burned down her house with himself inside. Lexie finds herself house sitting in the upscale village of Old Cadfield, blocks from where Rosie, her best friend and former college roommate, lives with her husband. Hal was Lexie’s college boy friend, until she decided he was too serious. Now Hal is a successful financier. Has Lexie been making wrong choices all her life or simply being true to herself? Lexie feels out of place in this posh neighborhood. The surviving book club members close rank and refuse to answer her questions. Even Rosie tells her to stop playing Miss Marple. Lexie wonders: don’t they care about finding the murderer? Has Rosie changed that much since college? Is it possible that Rosie is the murderer? 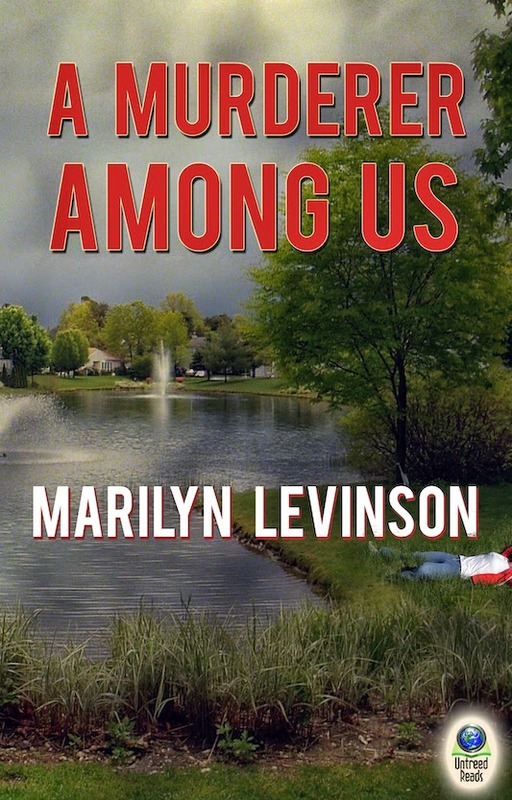 Lydia Krause, in A Murderer Among Us and Murder in the Air, is fifty-eight when she moves to Twin Lakes, an over-55 gated community. She's about to embark on a new phase in her life. Newly widowed, she has recently sold the company she’s headed for many years. In A Murderer Among Us, Lydia's older daughter, who still resents her for having gone to work full-time when she was in elementary school, constantly asks her to baby sit. Lydia knows something's wrong. 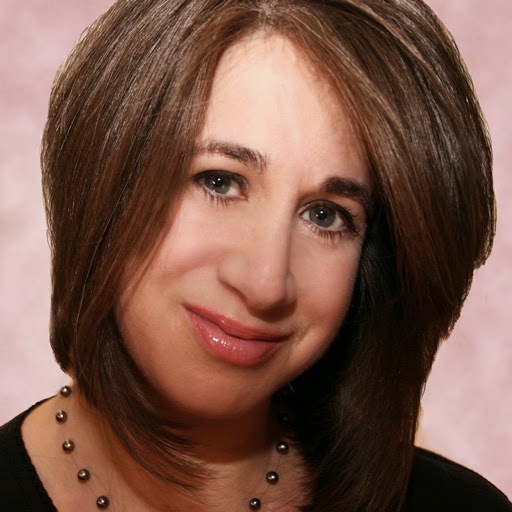 She unearths her daughter’s secret and takes steps to heal their relationship. She also forms friendships with other women, something she didn’t have time for when she was busy running a company. important and time consuming position. Should she take on more responsibilities at this point in her life? All questions that retired people ask themselves each day. There are many themes to write about. Love, betrayal, aging, new beginnings. What are some of the themes that run through your mysteries? As the old cliché says, sometimes things happen for the best. I feel like I'm in one of those times. First, I was diagnosed with head and throat cancer. Not something I was happy with, but—no one asked my permission. The chemotherapy so far has been nasty, but effective. I don't mean nasty in the way that some people have felt it. No, I've been blessed with minimal side effects. Loss of weight (regained), loss of appetite (regained), loss of taste buds (regained) and a truly ugly rash on my arms and legs (still there). Sunday, Ronnie and I move to Jacksonsville, FL where I'll continue my treatment at the U of FL Proton Therapy Center. There'll be more chemo and proton radiation. Hopefully, my body will handle that as easily as it handled the radical chemo at Boca Raton Regional Hospital. The second occurrence is much more pleasant. Ronnie and I were married today (Wednesday, April 2nd). Yeah, we've been together for fifteen years, but it just seemed like the right time to make it official. First, cancer, then marriage to the woman I love. Don't know where the cancer will take me, but I have confidence in facing it with Ronnie by my side. Would we have married if cancer hadn't come along? Don't know, but, to repeat myself, sometimes things happen for the best. In case I haven’t said it before, I hate technology. On a lot of my writers’ loops there have been conversations about formatting, with members giving each other hints about this and that. Now I speak four languages with reasonable fluency, but not one of them is ‘techy’ and there is not one word in those posts that I understand beyond ‘a’, ‘an’, ‘the’, etc. It’s like being plopped down in an alien world. Don’t get me wrong. There are parts of this brave computerized world I like, such as simple word processing and the ability to change and print a manuscript at will. I like email and surfing the ‘net. I like being able to play backgammon (am I the only one who plays that now?) and Scrabble (no one I know will play with me) with the ease of a few mouse clicks. Because of the imminent demise of XP (sob), I acquired a Gateway with Windows 7 and Office 2010. I do like the bigger screen (laptop, 17 inches) but that’s about it. Everything is so busy. Pictures flash. Colors change. Even the cards on the Solitare game are so fussy-fied that they’re distracting. Everywhere things dance and flip and do all kinds of weird things. And yes, I have gone into settings and turned off everything I can, but some just don’t! The best ancillary writing tool I ever had was an ancient NEC pocket computer. It did a basic form of Word, fit easily into almost every purse I owned, went to just where I stopped writing whenever I turned it on (no lengthy start-up protocol – once set, just on-and-off), had an incredible battery life and let me do nothing but put words down. I loved it dearly and used it until it simply rolled over and died beyond resurrection. There’s never been anything so good for a writer who is away from their home computer a lot. Here is where the pad and tablet people shout, “But have you tried…?” The answer is no, and I don’t want to. First of all the new pads et all are distressingly fragile. They have too much on them –games and internet movies and IMs and for all I know can make missiles lift off somewhere. I don’t want to be distracted. I want to be able to put words on ‘paper’ in a simple way on a simple device that is both pretty much indestructible and portable. On my office computer I want simple, clean functionality. It seems today that computers etc are made for gamers and geeks who, like children running after soap bubbles, want what is new and shiny and next. I don’t. I want solid, simple tools and don’t see why the computer gods don’t let people like me have them. I don’t see why every few years I have to learn new programs and put up with different bells and whistles, all of which are totally unnecessary to me and takes time away from my work – putting words on ‘paper.’ It all comes down to money, of course, but if the computer companies are that desperately greedy I would be willing to pay a reasonable license fee every few years just to be able to keep the programs I have now. But that’s too simple, of course. They have to show off their expertise and what they can do – and rake in a fortune from the soap-bubble chasers. What they haven’t yet learned is or even want to understand is that change for the sake of change is not progress. 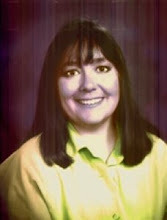 Actually in began on March 31 on Dru's Book Musings, with the topic "A Day in the Life of Stacey Milligan. For those of you who are familiar with the series, she began as Stacey Wilbur and is now married to Detective Doug Milligan. As I've done over the last blog tours, I"m having a contest for the person who comments on the most blogs to have a character in my next book named for him or her. Today I'm visiting Thonie Hevron and wrote about how I researched the Cop Culture for this series. On the bottom of each post is a place where you find the next blog stop. I had fun writing the many different posts--and I do hope some of you will follow along to see what I had to say--and maybe even enter my contest. Needless to say, I'll be very busy all this month promoting my tour and responding and keeping track of all those who comment. And if you'd just like to read the book, it's available on Amazon.